Used Ventana Benchmark Ultra automated platform, with Optiview detection kit. Antigen retrieval was for 72 minutes at 100C. 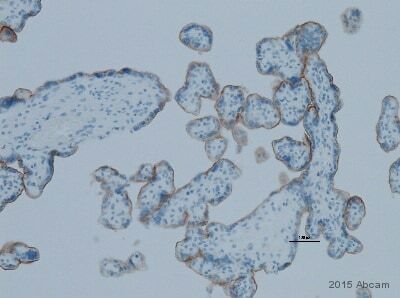 Photo shown is of placenta used for optimisation of antibody.